Cast Your Nets theme wall cross made with citra solv papers, polymer clay, and fish net. 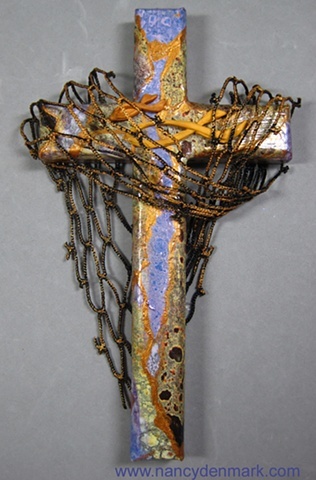 I made this cross using papers I created from the Citra Solv process with National Geographic pages, and added stiffened fish net and polymer clay fish. The typical bubble action obtained with the citra solv process emotes the feel of water to suit the theme.